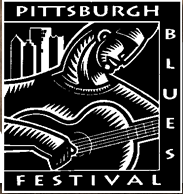 The 2010 Pittsburgh Blues Festival is Greater Pittsburgh Community Food Bank’s largest annual event, raising more than $1 million to fight hunger over its fifteen years. This year’s Festival takes place July 23rd to 25th at Hartwood Acres, one of Allegheny County’s prettiest parks located in Hampton Township. Tickets to the Blues Festival are still only $25.00 per day on Saturday and Sunday (Weekend Pass only $40.00! ), and Friday night is still FREE with the donation of a bag of groceries for the Food Bank. Entertainment includes a full line-up of national and local blues music, food and merchandise vendors, a KidZone with arts and crafts, blues for kids, games and healthy snacks. There is simply not a more exciting, family-friendly or affordable summer entertainment opportunity! Since the first year at the Riverplex at Sandcastle, the Pittsburgh Blues Festival has survived the growing pains of several different locations to land at Hartwood Acres five years ago. Some of the greatest names in Blues, like Koko Taylor, John Mayall, Gatemouth Brown and Taj Mahal have shared the stage with the new blues generation like Bernard Allison, Guy Davis and Devon Allman. International stars like Robert Cray rubbed elbows with Pittsburgh’s own finest local talent. For years Iron City was the home brew – fitting considering the Festival lived at the brewery for 5 years. Since moving to Hartwood, the Blues Festival has adopted a more friendly, mellow atmosphere. The KidZone entertains with games and music and healthy snacks. You can meander among the food and merchandise vendors, hang out in your camp chair, and even bring the dog. But one thing has never changed: the Pittsburgh Blues Festival helps the Food Bank feed thousands of people at risk of going hungry.